Cancer is one of the most talked about and most devastating diseases affecting man. Even today it causes fear, and is occasionally referred to as the big C. with the euphemism”after a long illness” still sometimes used in obituaries. However, this is rapidly changing with the increase in knowledge and advances in treatment and survival rates, and nowadays the word does not cause the room to go silent, as in the past. I thought that it would be interesting to discuss the etymology of the word. Some believe cancer to be synomous with modernity, and believe it to be a modern disease. This could not be further from the truth as the earliest written record regarding cancer is from 3000 BC in the Egyptian Edwin Smith Papyrus, in which a breast cancer is described. Cancer has existed throughout history. In ancient Egypt they believed cancer was caused by the Gods. Hippocrates (ca. 460 BC – ca. 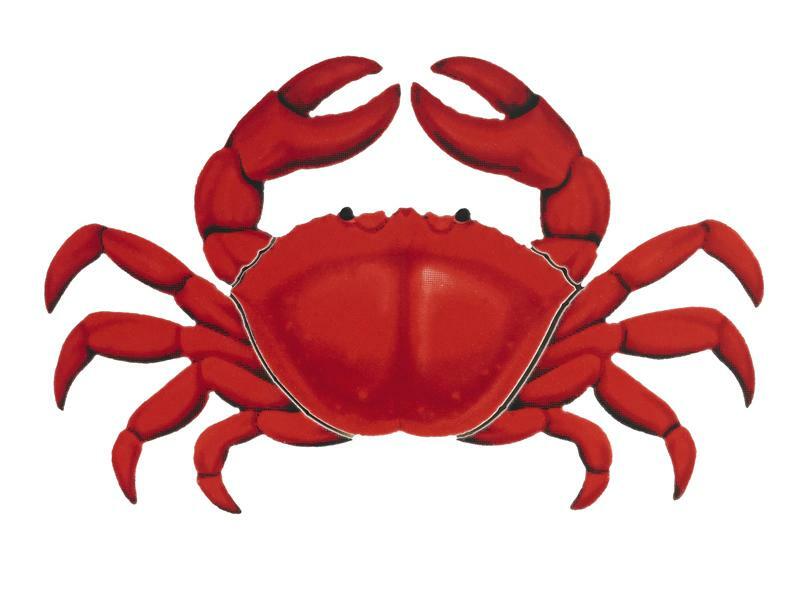 370 BC) described several kinds of cancer, referring to them with the Greek word καρκίνοςkarkinos (crab or crayfish). This name comes from the appearance of the cut surface of a solid malignant tumour, with “the veins stretched on all sides as the animal the crab has its feet, whence it derives its name”. In the times of Hippocrates it was believed that the body was composed of four fluids (The Humours): blood, phlegm, yellow bile and black bile, and that an excess of black bile in any given site in the body was the cause of cancer. Galen stated that “cancer of the breast is so called because of the fancied resemblance to a crab given by the lateral prolongations of the tumor and the adjacent distended veins”.Celsus (ca. 25 BC – 50 AD) translated karkinos into the Latin cancer, also meaning crab and recommended surgery as treatment. So the word cancer comes from Old English cancer “spreading sore, cancer” (also canceradl), from Latin cancer “a crab,” later, “malignant tumor,” from Greek karkinos, which, like the Modern English word, has three meanings: crab, tumor, and the zodiac constellation (late Old English), from PIE root *qarq- “to be hard” (like the shell of a crab); cf. Sanskrit karkatah “crab,” karkarah “hard;” and perhaps cognate with PIE root *qar-tu- “hard, strong,” source of English hard. In the 15th, 16th and 17th centuries, it became more acceptable for doctors to dissect bodies to discover the cause of death. The German professor Willhelm Fabry believed that breast cancer was caused by a milk clot in a mammary duct. The Dutch professor FRancois de la Boe Sylvius, a follower of Descartes, believed that all disease was the outcome of chemical processes, and that acidic lymph fluid was the cause of cancer. His contemporary Nocolaes tulpbelieved that cancer was a poison that slowly spreads, and concluded that it was contagious. 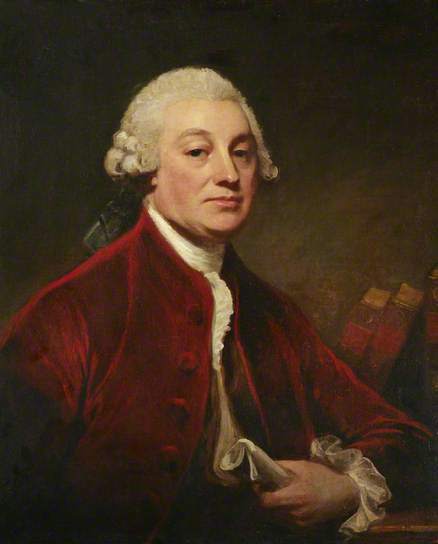 The physician John Hill described tobacco snuff as the cause of nose cancer in 1761. This was followed by the report in 1775 by British surgeon Percivall Pott (below) that cancer of the scrotum was a common disease among chimney sweeps. With the widespread use of the microscope in the 18th century, it was discovered that the ‘cancer poison’ spread from the primary tumor through the lymph nodes to other sites (“metastasis”). This view of the disease was first formulated by the English surgeon Campbell de Morgan between 1871 and 1874. The meaning “person born under the zodiac sign of Cancer” is from 1894. The sun being in Cancer at the summer solstice, the constellation had association in Latin writers with the south and with summer heat, and Cancer stick for “cigarette” is from 1959. And the political ‘war’ on cancer began with the National Cancer Act of 1971 (in the United States) under Nixon’s (Tricky Dicky) presidency but that ladies and genetlemen is “another story”. Thanks for listening and, as always, comments are welcome if not compulsory. So far all the posts have mainly been from doctors. with health librarians and one pharmacist also contributing. But today, we have another important perspective adding to my intention to try to paint the picture of the current health service in the Balearic Islands. Jose Mingorance, a physiotherapist working in Son Espases, has kindly let me publish a talk that he gave to an international Summer school held this July in the UIB ( University of the Balearic Islands). The topic of the summer school was “The impact of the economic crisis on health”, and his talk was entitled – “Physiotherpy and the crisis”. Thanks Jose for your timely and very interesting contribution. “In this period of crisis in Spain, with an unemployment level of 6 million, there are many serious social problems such as those evicted from their homes, or the cuts in education and health. This economic crisis is profound and is seriously affecting physiotherapy, which has to bear the cuts and reduction of resources. The future of physiotherapy is going through the generalization of its services in hospitals and health centres. With this in mind physiotherapists need to fight to improve health care assistance and also to try to improve the professional attention of physiotherapy. 1. Have you noticed a decrease in the number of patients and the resources used in physiotherapy? 2. Have they lowered the prices of each physiotherapy session due to the crisis? 3. Have you received any help to conduct research and development? 4. Have you noticed an increase in the price of postgraduate courses? 5. Do you think it would be a good idea to create a union of physiotherapists that could create more cohesion amongst the profession? We can see that in addition to the crisis the strong cuts in prices have also affected physiotherapy. Another key aspect affecting us all in the current Spanish economic panorama is training and research; two key columns for physiotherapy. Today they are both undervalued and underrated. As a result of this lack of public and private investment there is hardly any research that is moving physiotherapy away from the area of R&D, which in previous years was opening up new areas and future work possibilities. Prices for credits and enrolling on physiotherapy degrees, course and masters have greatly increased. This factor, along with the lowering of salaries and work days, makes it extremely difficult that future physiotherapists can reach the high level of knowledge and professionalism required. 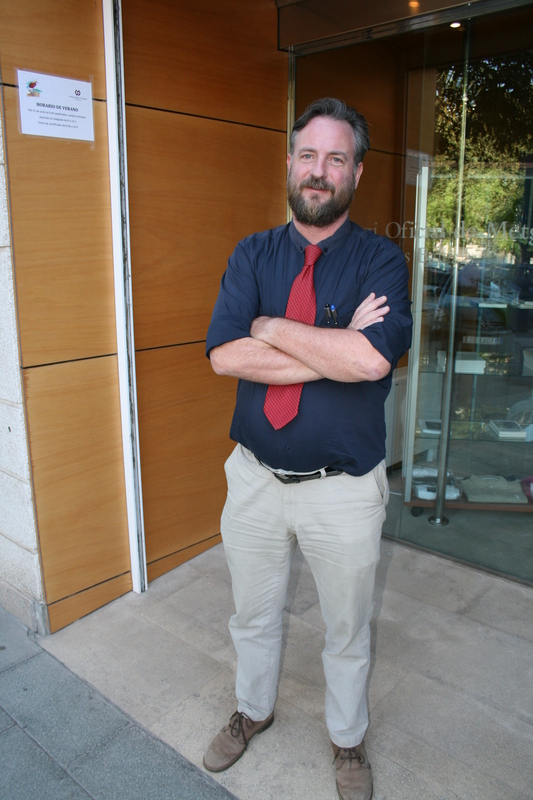 The prestigious professor Jonathan McFarland will give sessions of specialist English in the Col.legi de Metges de Illes Balears ( College of Doctors Balearic Islands). Professor Jonathan McFarland is a prestigious teacher with more than 20 years of experience in teaching English. 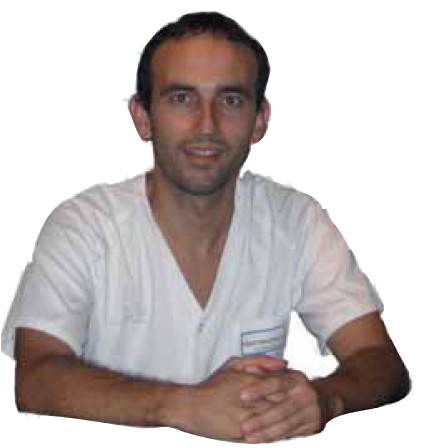 For the last decade he has been living classes to the professionals in the hospitals Son Llatzer and Son Espases ( previously Son Dureta), with the aim that this learning experience helps the doctors to improve and develop their professional practice. Specialized in medical education McFarland comes from a family of three generations of doctors. Jonathan McFarland states that the two “most important” areas of his training are teaching and medicine, which he combines with passion and enthusiasm in order to help health professionals with their English in the many different forms, be it the English needed to write scientific articles, give presentations or in treating patients. And he is sure that, for this, “ the key is in carrying out clinical sessions in English”, which he has doing in the hospitals Son Llatzer and Son Espases. The success of the method of teaching English for Doctors used by professor McFarland has the particularity, according to him, of “ bringing the language to where it is needed”. He reaffirms: “ I do not teach English, but my idea consists in facilitating the learning of the language in the aspect related to their profession”. Professor McFarland insists in that he does not teach English to his students rather he tries to improve the conditions for learning. In this sense, after having normally concentrated on doctors from one particular speciality McFarland believes that it is important to unite different specialities in order to exchange vocabulary and experiences. 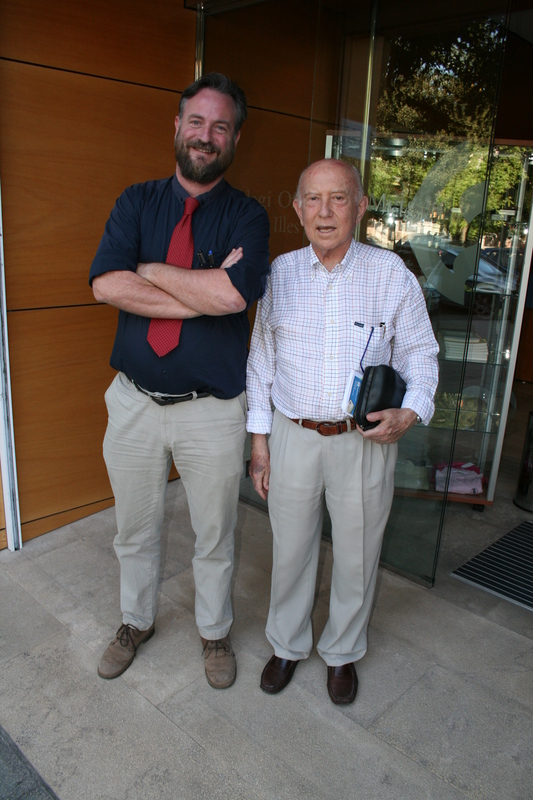 The Patronat Científic ( Scientific Commission) for the COMIB ( College of Doctors of Balearic Islands), headed by Dr Alfonso Ballesteros, has organised a programme of medical English led by Jonathan McFarland based on weekly workshops and clinical sessions, starting in September 2013 and finishing in June 2014. 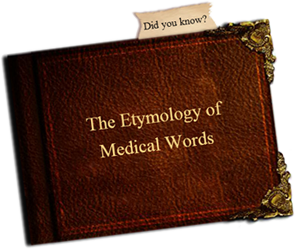 In this course the Medicine will come before the Language, as English will be the means to speak about and discuss medical topics. There will be a variety of specialities, as many as attending doctors, and thus there will be clinical sessions and presentations in English about different branches of medicine. The Medical English course will be working on many areas including: pronuciation, vocabulary, terminology, the difference between US and GB medical English and presentations. McFarland is convenced that this course is “ a great opportunity” to acquire fluency in the handling and use of English, mainly spoken, which is essential as “ nowadays, English is the universal language of medicine”. Interview originally written by Juanjo Sanchez, Press Officer for COMIB and published in Salut I Forca, and translated by Jonathan McFarland.